Corry Wallace had been out of prison for just five days the night he headed to Flanders with two of his siblings and his stepson to commit a home invasion, he told the jury in the murder trial of his brother Monday. “You break into someone’s house and take either money or drugs,” he explained from the witness stand as his brother, co-defendant Messiah Booker, stared across the room at him. Mr. Wallace, 48, said it wasn’t until the following morning — on Jan. 28, 2013 — that he fully realized what the crime had actually become: a murder. Dressed in a plaid shirt, his ankles shackled, Mr. Wallace told the jury it was Mr. Booker, 32, who fired the bullet that killed 21-year-old Demitri Hampton. And he admitted to pleading guilty earlier this year in a deal that will see his own second-degree murder charge reduced to manslaughter in exchange for testimony against Mr. Booker. “I’m not doing life for a killing I did not commit,” Mr. Wallace testified, adding that as part of the plea agreement he will avoid life in prison and be sentenced to between 21 and 25 years. Mr. Wallace’s testimony lasted nearly three hours Monday, covering everything from the events on the night of the killing, his dealings with police in the aftermath of his arrest and nearly 30 years worth of criminal activity he admitted to taking part in. 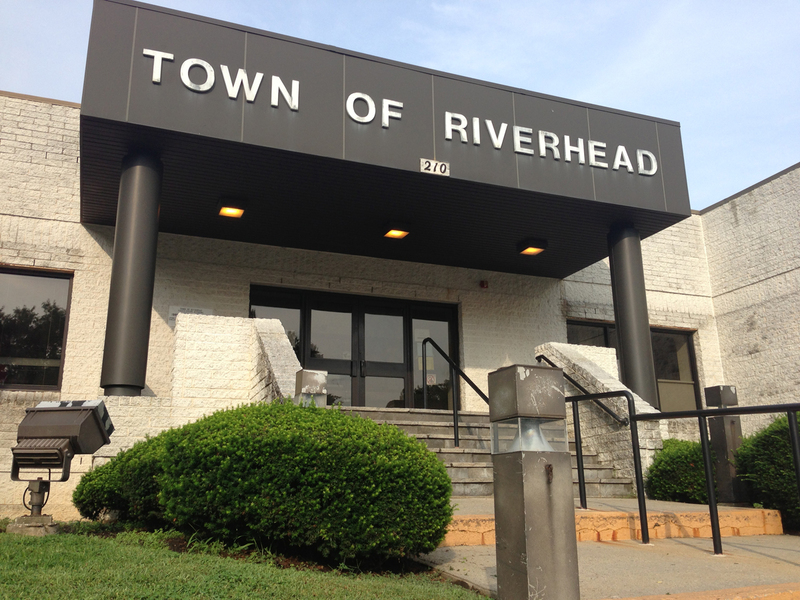 The longtime Riverhead resident said he was celebrating his recent release from a state prison with his girlfriend, who booked a week-long stay at the Swiss Motel, when he met up with Mr. Booker, Mr. Booker’s girlfriend Onika Walker, the men’s sister Danielle Hall and Mr. Wallace’s stepson Michael Parrish for the home invasion. Like Mr. Booker and Mr. Wallace, Ms. Hall and Mr. Parrish are also facing second-degree murder and first-degree robbery charges in connection with the case and are awaiting separate trials. Ms. Walker had faced a felony hindering prosecution charge, but that will be reduced to a misdemeanor in exchange for testimony. She previously testified that Mr. Booker told her he killed Mr. Hampton. Mr. Wallace said they left the Swiss Motel armed with a .22 caliber handgun and Glock 9 mm, before taking off to western Suffolk County, where they picked up a shotgun. Defense attorney Brendan Ahern said Mr. Wallace previously told police they acquired the gun at a cabstand in Central Islip earlier that evening. Mr. Booker, armed with the 9 mm, broke open the front door to the home on Priscilla Avenue where Mr. Hampton had been staying, Mr. Wallace testified, adding that he followed behind with the shotgun and Mr. Parrish behind him with the .22. “I had the .22, but I switched out to the shotgun because I got big hands,” Mr. Wallace testified. The plan was for Mr. Booker to head into a bedroom to the left side of the house, where Mr. Hampton’s teenage female cousin was staying; for Mr. Parrish to guard the living room; and for Mr. Wallace to enter the master bedroom, where a man Mr. Wallace knew to sell drugs was staying with another of Mr. Hampton’s cousins. Mr. Booker, however, was quickly engaged in a struggle with Mr. Hampton, according to Mr. Wallace. That’s when the struggle between Mr. Booker and Mr. Hampton caused a bedroom door to become unhinged, landing on the shotgun Mr. Wallace had raised above his head and causing it to go off, he said. The errant shot nearly struck Mr. Booker, Mr. Wallace testified. In a bit of testimony stricken from the record by Suffolk County Supreme Court Judge John Collins, assistant district attorney Glenn Kurtzrock asked Mr. Wallace if the home on Priscilla Avenue was the original intended target that night. He answered no, before Mr. Ahern could object. After a brief conference with attorneys, Judge Collins informed the jury they were to ignore the question and answer. In his cross-examination, Mr. Ahern painted Mr. Wallace as a career criminal, with a history of arrests for drugs, armed robberies and domestic violence. He also suggested Mr. Wallace had a history of sexual abuse of a young female relative, something he strongly denied. Mr. Wallace again said no when Mr. Ahern asked him to confirm that his client never entered the house on Priscilla Avenue and was instead with Ms. Walker at a friend’s house nearby. He also said he never heard of a “Jayshawn,” when Mr. Ahern asked if the man, whose name has come up at several points in the trial, was present. No one named Jayshawn has ever been charged in connection with the case. Mr. Wallace admitted, however, to being charged with false personation in 2003 for using Mr. Booker’s name when questioned by police. He also testified that he told police in a videotaped interview shortly after his arrest in 2015 in connection with the Flanders home invasion that he had first-hand information about several other murders. On Monday, Mr. Wallace backtracked from those statements. “I described things I heard on TV or heard in the streets,” he said. Testimony in the case will continue Tuesday. Top caption: Messiah Booker, left, and Corry Wallace.